Educational director of Ryan Center Training Clinic, an abortion training program. Faculty bios for 2014 APGO Seminar. Dr. Sabrina Holmquist works at the University of Chicago, and is educational director of the Ryan Center Training Clinic, which includes an abortion training program. The Ryan Center abortion clinic at University of Chicago performs 1st and 2nd trimester abortions. Faculty also teach abortion to medical students and residents in the Ryan Residency program. Clinic brags, "We regularly train physicians, residents, fellows and medical students." See page 2, last section. See career info on abortionist Sabrina Holmquist on pages 19-20. 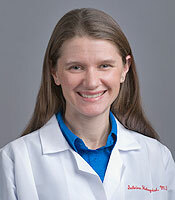 See career info on abortionist Sabrina Holmquist on pages 22-23. List of physicians on Amici Curiae brief. Includes abortionist Sabrina Holmquist. Includes bio info on abortionist Sabrina Holmquist. See pages 12, & 25-26.